Paré was born the son of an artisan in 1510 in Bourg­ Hersent, France. About 1533, he went to Paris, where he apprenticed to a barber ­surgeon at the hospital Hotel­ Dieu. In 1537, he began working as an army surgeon. For much of the rest of his life, he alternated between practicing surgery in Paris and living on the front lines ministering to French troops. The treatment in Paré’s time for gunshot wounds, which were thought to be poisonous, was an application of boiling oil. Paré did away with this method when he ran out of oil and was forced to improvise. He created a mixture of rose oil, egg yolk, and turpentine, and found that wounds treated with the mixture healed better than those treated with boiling oil. He published these findings in 1545 in The Method of Treating Wounds Made by Harquebuses and Other Firearms. Paré contributed other innovations to surgical practice. He advocated the ligature (or tying), rather than the cauterization, of blood vessels to prevent hemorrhaging during amputation. He built artificial limbs, invented various surgical devices, and abandoned the practice of castration for patients receiving hernia surgery. Paré became swiftly renowned for his great practical skill in treating patients. In 1552, he became surgeon to the French king, Henry II, and subsequently served three others: King Francis II, King Charles IX, and King Henry III. Paré is said to have used surgery only as a last resort, unlike his contemporaries. He was honored for his humility and dedication, and is reported to have claimed that, although he provided the treatment for an illness or injury, God brought about the cure. 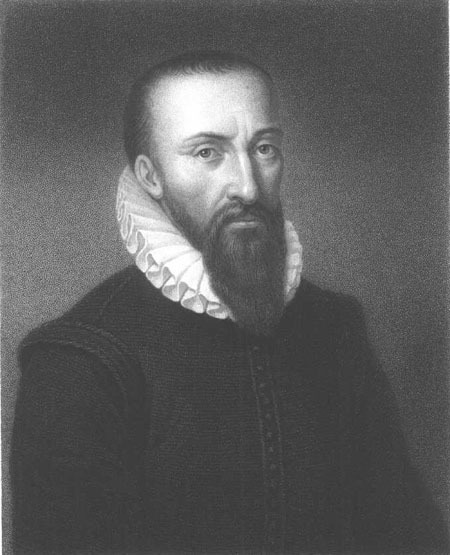 Paré died in Paris on December 20, 1590. Paré’s surgical innovations influenced the practice of medicine in his lifetime and resulted in the dismissal of many outdated methodologies and ideologies. Paré’s improved surgical techniques and medical inventions saved the lives of numerous French soldiers and civilians and decreased the suffering of many others. Unlike many of his contemporaries, Paré wrote in French, because he did not know Latin; he was therefore able to reach the general public. Because the French were able to read his scientific treatises, Paré became quite popular. Many of his innovations were adopted by other physicians, possibly because of patient demand. Paré’s focus on surgical procedures led to the development of surgery as a distinct field within medicine. During Paré’s time, surgery was primarily performed by barbers whose services were often requested by physicians who needed some type of invasive operation performed. By the eighteenth century, as medicine and associated understandings in the fields of anatomy and physiology advanced, surgery advanced also. Since physicians understood the internal structure and function of the body more fully, they could increase the speed with which operations were performed. And, in 1846, surgery made a great leap forward with the introduction of ether anesthesia by American dentist WILLIAM MORTON. Today surgical techniques have greatly advanced including highly refined and exact means of making incisions, including laser surgery.